Premium kit gives you everything you need for snap installation. 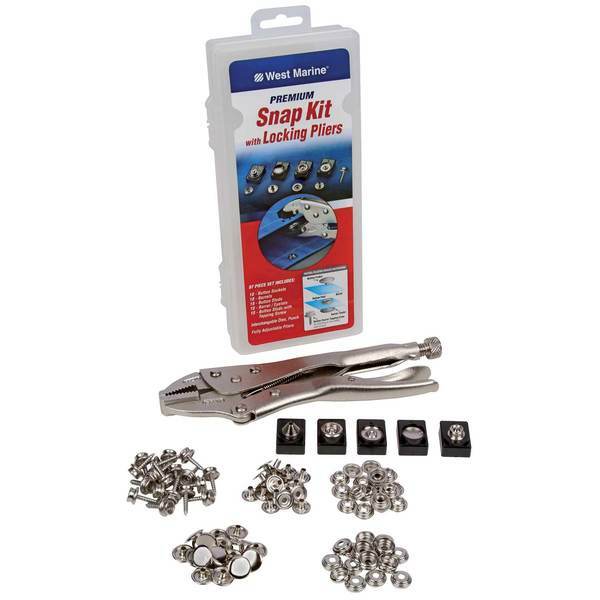 Kit includes interchangable dies, punch, fully adjustable locking pliers and instructions. Kit also includes the following snap components: 18 Button Sockets, 18 Barrels, 18 Button Studs, 18 Barrel/Eyelets, 18 Button Studs with Tapping Screw. WARNING: This product can expose you to chemicals including nickel which is known to the state of California to cause cancer. For more information, go to www.P65Warnings.ca.gov.